Monte Carlo Simulation is a statistical method applied in financial modelingWhat is Financial ModelingFinancial modeling is performed in Excel to forecast a company's financial performance. Overview of what is financial modeling, how & why to build a model. A 3 statement model links income statement, balance sheet, and cash flow statement. More advanced types of financial models are built for valuation, plannnig, and where the probability of different outcomes in a problem cannot be simply solved due to the interference of a random variableIndependent VariableAn independent variable is an input, assumption, or driver that is changed in order to assess its impact on a dependent variable (the outcome). Think of the independent variable as the input and the dependent variable as the output. In financial modeling and analysis, an analyst typically performs sensitivity analysis. The simulation relies on the repetition of random samples to achieve numerical results. It can be used to understand the effect of uncertainty and randomness in forecasting modelsWhat is Financial ModelingFinancial modeling is performed in Excel to forecast a company's financial performance. Overview of what is financial modeling, how & why to build a model. A 3 statement model links income statement, balance sheet, and cash flow statement. More advanced types of financial models are built for valuation, plannnig, and. Monte Carlo simulation was first developed by Stanislaw Ulam in the 1940s. Ulam was a mathematician who worked on the Manhattan Project. Initially, the method was derived to solve the problem of determining the average distance neutrons would travel through various materials. The method was named after the Monte Carlo Casino in Monaco since the randomness of the outcomes that is crucial to games such as roulette or dices is essential for Monte Carlo simulations. In essence, Monte Carlo simulation can be used in almost any probabilistic problem. It explains why it can be used in different fields, including statistics, finance, engineering, and science. The main ideas behind the Monte Carlo simulation are the repeated random sampling of inputs of the random variable and the aggregation of the results. The variable with a probabilistic nature is assigned a random value. The model is then calculated based on the random value. The result of the model is recorded, and the process is repeated. Usually, the process is repeated hundreds or thousand times. When the simulation is complete, the results can be averaged to determine the estimated value. Monto Carlo simulation is commonly used in equity options pricing. The prices of an underlying shareStockWhat is a stock? An individual who owns stock in a company is called a shareholder and is eligible to claim part of the company’s residual assets and earnings (should the company ever be dissolved). The terms "stock", "shares", and "equity" are used interchangeably. are simulated for each possible price path and the option payoffs are determined for each path. The payoffs are then averaged and discounted to today, which provides the current value of an option. While Monte Carlo simulation works great for European-style options, it is harder to apply the model to value American options. The factors influencing the value of portfolios are simulated, and the portfolio value is calculated. Then, the average value of all simulated portfolios is determined, and the portfolio value is observed. The main source of uncertainty for fixed income instrumentsFixed Income SecuritiesFixed income securities are a type of debt instrument that provides returns in the form of regular, or fixed, interest payments and repayments of the principal when the security reaches maturity. These instruments are issued by governments, corporations, and other entities to finance their operations and interest rate derivatives is the short rate. 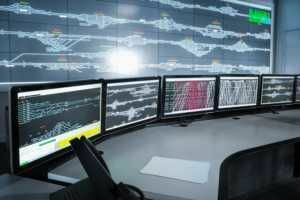 The short rate is simulated numerous times, and the price of bond or derivative is determined for each simulated rate. Then, the obtained rates are averaged, and the current value of a bond is determined using this rate. 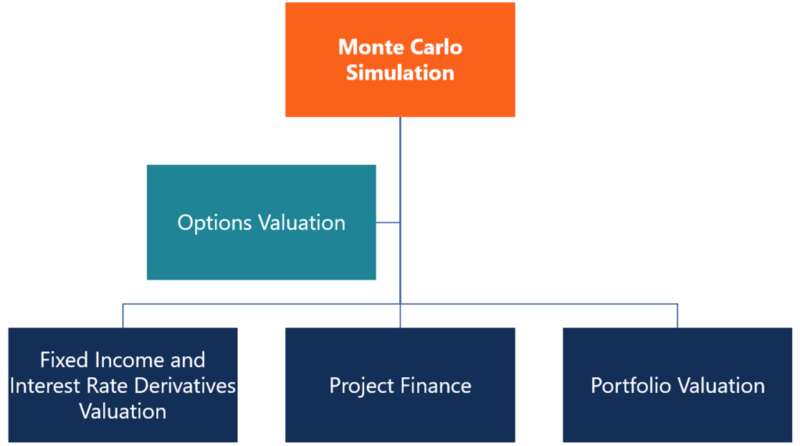 Project finance and real options analysis: Monte Carlo simulation allows financial analysts constructing stochastic models to assess the project’s Net Present Value (NPV)Net Present Value (NPV)Net Present Value (NPV) is the value of all future cash flows (positive and negative) over the entire life of an investment discounted to the present. NPV analysis is a form of intrinsic valuation and is used extensively across finance and accounting for determining the value of a business, investment security,. When performing sensitivity analysisWhat is Sensitivity Analysis?Sensitivity Analysis is a tool used in financial modeling to analyze how the different values for a set of independent variables affect a dependent variable under certain specific conditions. 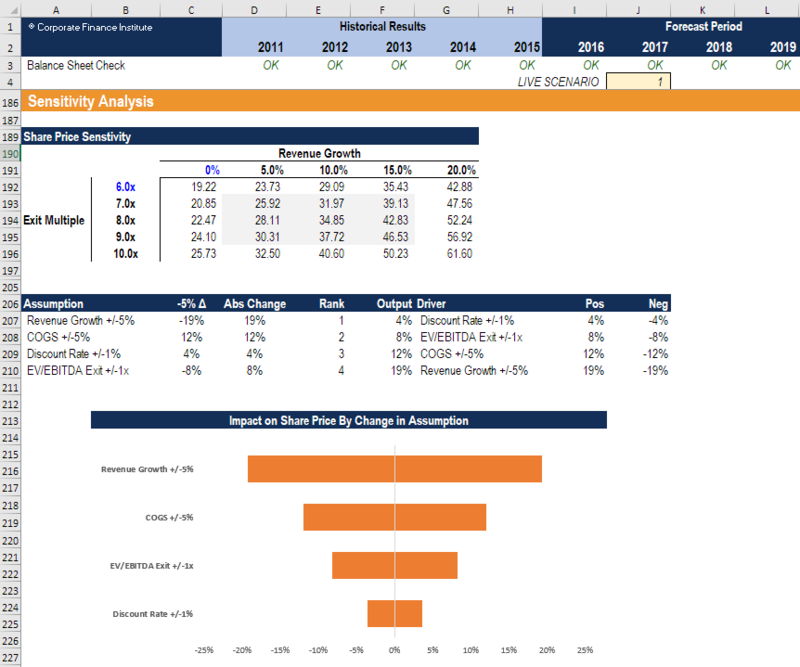 Sensitivity Analysis is performed in Excel to asses risks, measure potential outcomes, and plan for an uncertain future in financial modeling, it can be Monte Carlo Simulation in Excel. The analysis is performed to test the impact on the net present value (NPV)Net Present Value (NPV)Net Present Value (NPV) is the value of all future cash flows (positive and negative) over the entire life of an investment discounted to the present. NPV analysis is a form of intrinsic valuation and is used extensively across finance and accounting for determining the value of a business, investment security, of the business as underlying assumptions and variables change. Image: CFI’s sensitivity analysis course. Head and Shoulders PatternHead and Shoulders Pattern – Technical AnalysisThe head and shoulders is a pattern commonly seen in trading charts. The head and shoulders pattern is a predicting chart formation that usually indicates a reversal in trend where the market makes a shift from bullish to bearish, or vice-versa. Triangle Patterns – Technical AnalysisTriangle Patterns - Technical AnalysisThe triangle patterns are common chart patterns every trader should know. Triangle patterns are important because they help indicate the continuation of a bullish or bearish market. They can also assist a trader in spotting a market reversal.